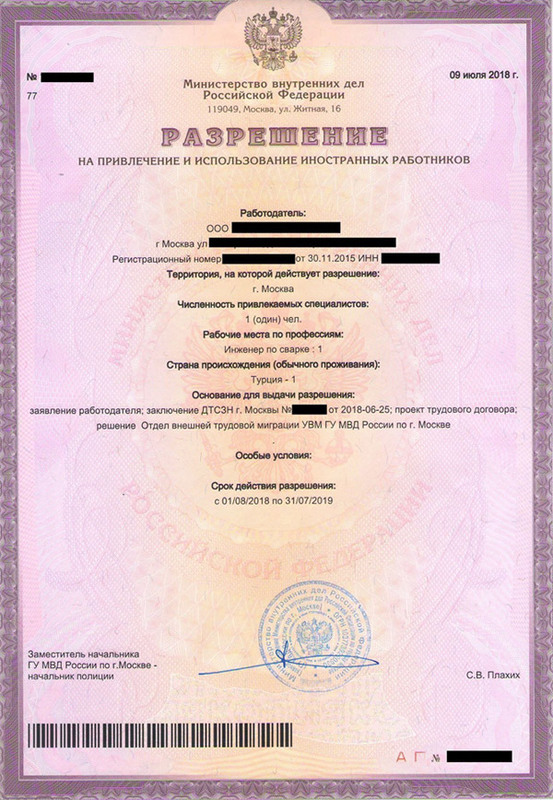 If an employer wants to take quota for 2020, it must give its application petition which states the foreign worker number that it plans to get worked, to official institution which can be translated to english as Moscow Worker Change Center ДТСЗН (Департамент труда и социальной защиты Москвы)until the determined month of 2019. Even if you didn’t take a positive answer for any reason, we can take Work quota in Moscow in the name of your company by entering to Additional Commission. The experience of experted staff of our company which gives service about migration matter since 2000, shows that these ADDITIOAL COMMISSONS happen in the months of March, April, May, June, July and sometimes in September. Contact with us before it is late, we will product solution for you in migration matters. İmportant we can get guarenteed quota up to 6 persons(the number can change) from professions that are without quota and by shortening the duration for 1 month.